The idea of a headband you can wear to make you smarter may sound like a device from the latest science fiction blockbuster. But experts have revealed such a device in reality – and claim it could increase learning by 40 per cent. And it may not be long before you can get your hands on one, with the designers predicting its use will be common in just five to ten years. 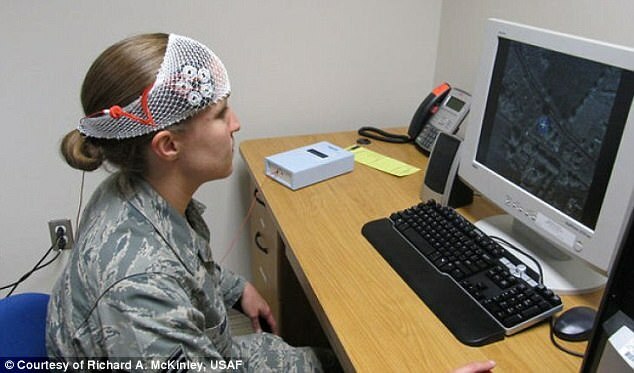 The device, which is described as 'non-invasive transcranial direct current stimulation' (tDCS) was designed by researchers from HRL Laboratories and McGill University in Montreal, with funding from the Defense Advance Research Project Agency (DARPA). 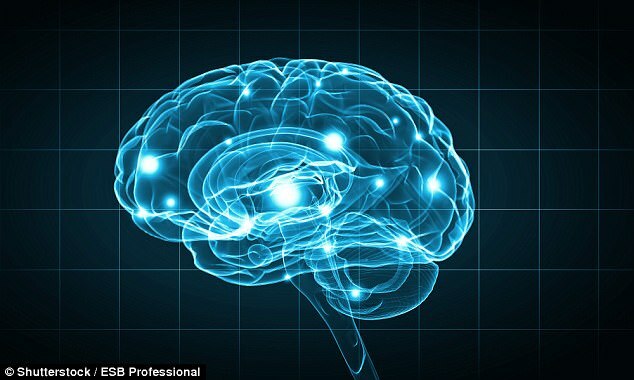 The device applies a current to an area of the brain called the prefrontal cortex. This causes changes in connectivity between different brain areas, and increases learning. While previous studies suggested that this occurs through increased firing of neurons, the researchers found that this wasn't the case. Instead, modulated connectivity between brain areas accounted for the increased learning speed. Dr Praveen Pilly, principal investigator, said: 'In this experiment we targeted the prefrontal cortex with individualised non-invasive stimulation montages. 'That is the region that controls many executive functions including decision-making, cognitive control, and contextual memory retrieval. 'It is connected to almost all the other cortical areas of the brain, and stimulating it has widespread effects. In the study, the researchers tested the device on macaque monkeys. The macaques were tasked with learning associations between a visual stimulus and a location where they would get a reward. Initially, this took them about 15 seconds, and then once they had learned the location of the reward, it took about two seconds to recall and find it. Without the tDCS treatment, it took the macaques an average of 22 trials to learn to find the rewards. But with the treatment, it took them an average of 12 trials, suggesting an increase in learning of 40 per cent. The team now hopes to seek out FDA approval for the device, and Dr Pilly suggests that the technology could be widespread in just five to ten years.